Dr. W.Hew McLeod is my favorite author on Sikh history. In fact, he is primarily responsible for my interest in the subject. 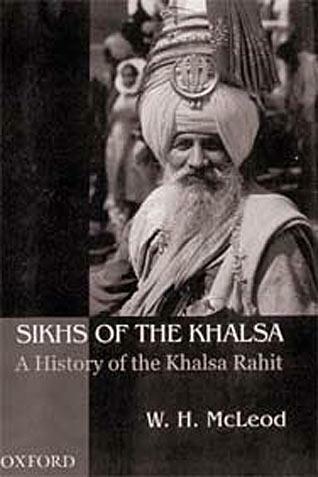 Before reading him, my knowledge of Sikh history was only what I had learned from my dharmic ( religious) teacher at B.N. Khalsa High School, Patiala, or what I heard at home and in the gurdwaras. His books provoked me to read more on the subject. In the early seventies, I read his name for the first time in Choice magazine, as the author of Guru Nanak and Sikh Religion. Choice is an organ of the American Library Association. It reviews books for academic libraries. Libraries select any book recommended by Choice with no hesitation. Thus, his book came highly recommended. I ordered one copy for our college library, and one copy for my personal use. It is indeed a scholarly work. The best part concentrated upon the teachings of Guru Nanak. Guru Nanak Dev University had it translated into Punjabi and published it as Guru Nanak da Updesh. Then, in 1976, came McLeod's second book, The Evolution of the Sikh Community. Overall, I enjoyed the book, but could not easily digest some of the new ideas it presented. McLeod puts a question mark on traditional concepts which are not supported by documents. He does not reject them, but only says they need more research. However, a mind nurtured on centuries-old traditions cannot easily accept a question mark. Even now, it takes me a week or so to appreciate his ideas which question the traditional approach after churning over them many times. I wrote a review of The Evolution of the Sikh Community which was published in The Canadian India Times in 1978. When I read that review now, it looks so childish and simplistic. We invited McLeod to Halifax in 1992 as a guest of the Maritime Sikh Society. He delivered a public lecture, "The Sikh Struggle in the Eighteenth Century and its Relevance Today", at the International Centre, Saint Mary's University and he gave a talk in our Gurdwara on "Sikhs in New Zealand". He then attended a reception in his honor at a restaurant that evening. Everybody was deeply impressed by his friendly, unassuming and modest nature. If he is brilliant as a scholar, he is equally decent as a human being with no ill-will or animosity towards his critics. Within a few weeks after he left Halifax, Dr. Pashaura Singh's thesis came out. A flood of criticism rose against McLeod from a section of Sikh writers, since he was the supervisor. I must admit I developed some doubts about McLeod's research motives. I, myself, started believing that he was indeed a Christian missionary who wanted to hurt the Sikh faith, and had ulterior motives. 4 Principal Sant Singh Sekhon. All of them said, without hesitation, that McLeod is an honest scholar. He has absolutely no motive to malign Sikhs. This was also the view of S. Khushwant Singh when I met him in February 2003. I was also advised to check the qualifications of people who were criticizing McLeod. There are always some good and some bad points in the works of every scholar. Those who focus merely on the negatives are biased and less than honest. Prof. Pritam Singh was my main source. He told me that when McLeod was working on his doctorate on Guru Nanak, he came several times to interview his next-door neighbor, the celebrated historian, Dr. Ganda Singh, and also interviewed him (Pritam Singh). Dr. Ganda Singh found McLeod absolutely sincere and earnest. Pritam Singh said that as long as Ganda Singh was alive, his critics did not have the courage to attack McLeod. Ganda Singh stood too tall and well-respected in the profession. He wrote an article in defense of McLeod in a journal, The Punjab, Past and Present, which he edited. It was a befitting reply to some critics of McLeod. Who knows better how to read, research and write history than Ganda Singh? 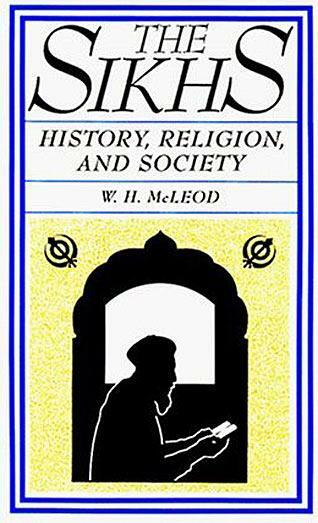 Harbans Singh has included several well-researched articles of McLeod in Encyclopedia of Sikhism. A scholar who comes recommended by such fine minds as Ganda Singh, Harbans Singh, Khushwant Singh and J. S. Grewal has to be accepted and respected. I made my decision. I recall that I had my first lesson in history from my history Professor, S. Kartar Singh Shergill. I once mentioned to him that Nehru says so-and-so about the Moghul Emperor Babur in his book, Discovery of India. He shot back at me, " Nehru is not a historian. Read Panikar or Majumdar!" He said that, like any discipline, history, too, is a specialized field. A historian is properly trained to conduct research. Historians take pride in their qualifications. If a historian cannot write with authority on physiology, botany, or geography, the same is true in the field of history for others. Now, whenever I am asked to read a book on Sikh history by a critic of McLeod, I always check the qualifications of the author and compare his standing in the profession with Ganda Singh and others mentioned above. I then form my view accordingly. I also check the publisher of his books, if he has written any. Such famous publishing houses as Oxford, Princeton and Cambridge Universities have published the works of McLeod, Khushwant Singh and J. S. Grewal. Do I accept wholeheartedly everything McLeod writes? Certainly not, especially in the area of Sikh scriptures. He lacks proper qualifications here. If his interpretation of Gurbani clashes with that of Sahib Singh or Jodh Singh, for example, I, of course, readily prefer the views of the Sikh scholars who are the real experts in the field. As I mentioned earlier, McLeod has been accused of being a Christian missionary who came to Punjab to destroy Sikhism in order to promote Christianity in its place. No one ever cared to find out what kind of missionary work he actually did, though his critics claim to be better informed. When this kind of character assassination was in full swing in the early nineties, Dr. I. J. Singh of New York asked McLeod to clarify his position. This he did in an article in the Sikh Review. McLeod did come to Punjab as missionary of a church in New Zealand, but soon his interest in religion started to wane. As a trained historian, he found the history of Sikhs very fascinating. He taught Punjab history at Baring College, Batala, spent his extra time learning the Punjabi language, and then did his Ph.D. on Guru Nanak from the University of London. He left the college, and lost all interest and contact with the Church. After this explanation, some responsible critics stopped repeating the missionary charge. If McLeod had any motive for destroying Sikhism, he would have readily accepted that Guru Nanak was the chela (disciple) of Kabir as given in some of the works by Western writers. He not only rejects this view, but rather doubts whether Kabir and Guru Nanak had ever met. He does not believe that Guru Gobind Singh ever worshipped goddess Durga, and doubts if the Chandi Charitr, a questionable section of Dasam Granth, is the composition of Guru Gobind Singh. His book, Sikhism (1997), is full of complimentary passages on Sikhs. Lately, McLeod is getting acceptance from his open-minded detractors. 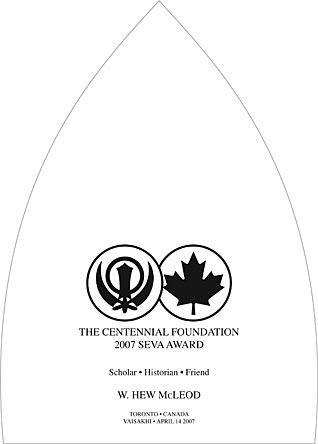 His support as an expert in the court cases on turban and kirpan issues in Canada won him appreciation from many, especially the World Sikh Organization (Canada). His book, Textual Sources for the Study of Sikhism, has won him laurels from all directions. He has admirers amongst Kiwi Sikhs for tracing their New Zealander roots in his books. A while ago, when some friends started bashing McLeod on the Sikh Diaspora forum (with which I'm involved), Navtej Singh Randhawa from New Zealand came swinging in his defence. He wrote: "I am a fourth-generation Sikh-New-Zealander and I can assure you that if it wasn't for Dr W.H. McLeod's rather legendary research work on our Sikh community here in New Zealand , I would have never known about our early Sikh and Punjabi heritage in this country. Some of the historical facts are so fascinating that we are just startled by the details. Now I can very easily refer to some concrete data and collections from his books, Punjabis in New Zealand and Sikh Migration to New Zealand. My grandfather and great-grandfather worked with him on these projects. My grandfather tells me that if it wasn't for this scholar, we would have lost a very valuable piece of history from our heritage." The new generation of Sikh scholars hold McLeod in high esteem. He is the most quoted author on Sikhism today. After Ganda Singh, he is indeed the Baba Bohar (the mighty Banyan Tree) of Sikh history. 1: Pushproop Singh (Brampton, Canada), May 25, 2007, 6:48 PM. I know of the hard work done by Dr Mcleod to bring out the teachings of the Sikh Gurus. My grandfather knew him as a friend. I know from him that Dr McLeod took great pains in researching, studying and writing about Sikhism. He is selfless. I'm aware of some of the accusations against him and feel that it would be absolutely wrong in ascribing improper motives to him. 2: Tejinder Singh Hansra (Sydney, Australia), May 25, 2007, 11:52 PM. 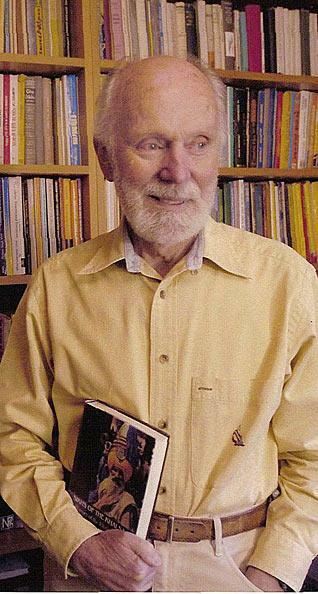 I happened to have a chance meeting with Hew in Christchurch, New Zealand, in the early eighties and was fascinated when he started his conversation in Punjabi. Since then, he has moved even further in his research pursuits and interests. I have followed his publications since then. I must say that I appreciate his historical and social research. When it comes to scriptural interpretations and their interface with historical research, we must remember that his role is that of a historian. 3: Jarnail Singh (India), May 26, 2007, 1:17 AM. 4: Jagar Singh (India. ), May 28, 2007, 12:00 AM. McLeod is a great scholar. But he sees Sikhism's teachings with a Christian bias. There is no other shortcoming in his work. 5: Gurdev S. Khush (Davis, California, U.S.A.), August 11, 2007, 9:22 AM. I have read several books by McLeod and admire his writings on Sikhs and Sikhism. However, I do not know anything about the criticisms of his work. 6: D.S. (Toronto, Canada), January 27, 2009, 9:28 PM. 7: Jodh Singh Arora (Jericho, New York, USA), January 21, 2016, 10:19 AM. I had a regret that I could not meet him when I was in Patiala 1947-64 and again when he was in New York, this time being sick. To fulfill my wish I wrote him a letter and he responded promptly. I am sick, bedridden and cannot come to New York and you are welcome to New Zealand. Before I could make it, he died. I have all his books and both of us have been reading them. Comment on "A Gentleman and A Scholar"